If you've never read Shakespeare, reading Hamlet, the bard's longest play, may be a daunting task, but this breakdown of all the scenes in Act 3 can help. Use this study guide to familiarize yourself with the themes and plot points of this pivotal part of the tragedy. Doing so can help you know what to look for as you read "Hamlet" in class or on your own at home. If you've already read the drama, use the guide to review any developments that you need to better understand or overlooked the first time around. If you're preparing to take a test or write a paper about "Hamlet," be mindful of what your teacher has said about the play in class. 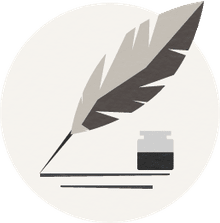 Highlight any theme or plot development you think you can use to support a thesis statement or expound upon in a persuasive essay. Polonius and Claudius arrange to secretly watch a meeting between Hamlet and Ophelia. When they meet, Hamlet denies any affection for her which further confuses Polonius and Claudius. They decide that either Gertrude can get to the root of Hamlet’s “madness” or he will be sent to England. Hamlet directs the actors in a play to depict his father’s murder, as he hopes to study Claudius’ reaction to this. Claudius and Gertrude leave during the performance. Rosencrantz and Guildenstern inform Hamlet that Gertrude wants to speak to him. Polonius arranges to secretly listen to the conversation between Hamlet and Gertrude. When alone, Claudius speaks of his conscience and guilt. Hamlet enters from behind and draws his sword to kill Claudius but decides that it would be wrong to kill a man while praying. 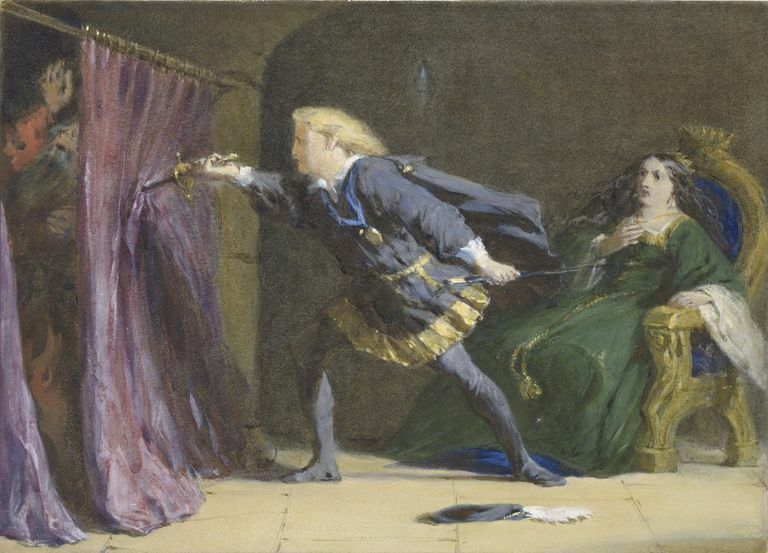 Hamlet is about to reveal Claudius’ villainy to Gertrude when he hears someone behind the curtain. Hamlet thinks it is Claudius and thrusts his sword through the arras – he has killed Polonius. Hamlet reveals all and speaks to the ghost. Gertrude, who cannot see the apparition, is now convinced of Hamlet’s madness. Now that you've read the guide, review the plot points. What did you learn about the characters? What are Hamlet's intentions? Did his plan for Claudius work? What does Gertrude now think of Hamlet? Is she right or wrong to have these views? Why does Hamlet's relationship with Ophelia appear to be so complicated? As you answer these questions and inevitably think of your own, jot them down. This will help you remember how the scenes of Act 3 unfolded and help you categorize the information in a way that may make it easier for you to come up with an outline for an essay or similar assignment on "Hamlet." Take the same approach with the other acts in the play, and you will have organized the plot developments into a very handy study guide. How Important Was the Chorus to Greek Theater? Study Guide for Act Three of Lorraine Hansberry's "A Raisin in the Sun"